Rooms from $50.86 per night. Description This Jesup, Georgia hotel has an outdoor pool, free internet access, non-smoking guest rooms and free breakfast. Free breakfast free Wi-Fi in well-equipped rooms and a hot tub are offered at the Days Inn Jesup. This three-story hotel offers free Wi-Fi cable TV microwaves and refrigerators in all 54 rooms. Some rooms have seating areas and jetted tubs. The hotel provides a free continental breakfast and free newspapers in the lobby. Guests can work out in the fitness room on cardio and weight machines and then relax in the hot tub. A 24-hour front desk and vending machines are added conveniences. Parking is free. The Days Inn is just off U.S 301 and U.S. 341 less than a mile from shops and restaurants in Jesup's town center. The Pine Forest Country Club is about four miles away. Fort Stewart is about 30 miles away. Okefenokee Swamp Park is 54 miles away just south of Waycross; Jekyll Island beaches are about an hour and 10 minutes away. Jacksonville International Airport is 91 miles away. 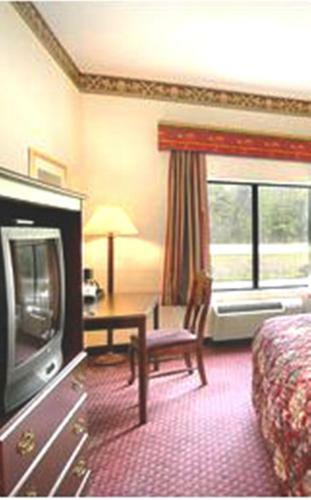 Add Days Inn By Wyndham Jesup to your free online travel itinerary.